It was hard to think of a way to thank my friends who worked on the quilts in my book, but I tried--with a launch party full of holiday cheer. Don't let the title fool you - Idiot's Guides: Quilting is a book for both beginning and intermediate quilters. Whether you're brand new to quilting or looking to improve your quilting skills, you'll find step-by-step photos that lead you through every aspect of the quilting process. I'm partial of course <grin>, but I think this book is a great reference guide that you'll be glad to have on your quilting bookshelf. Really? What's in this thing? Finally, you'll learn everything you need to know to finish a quilt, either by hand or by machine. OK, sounds interesting but I'm not a beginner. That's okay. As an experienced or intermediate beginner, you won't need to reference the basic quilting techniques covered in the book unless you want a refresher. But if you ever want to learn some quilting technique you've never tried before such as English paper piecing, foundation paper piecing, or turned-edge fusible machine applique, this book will show you how. 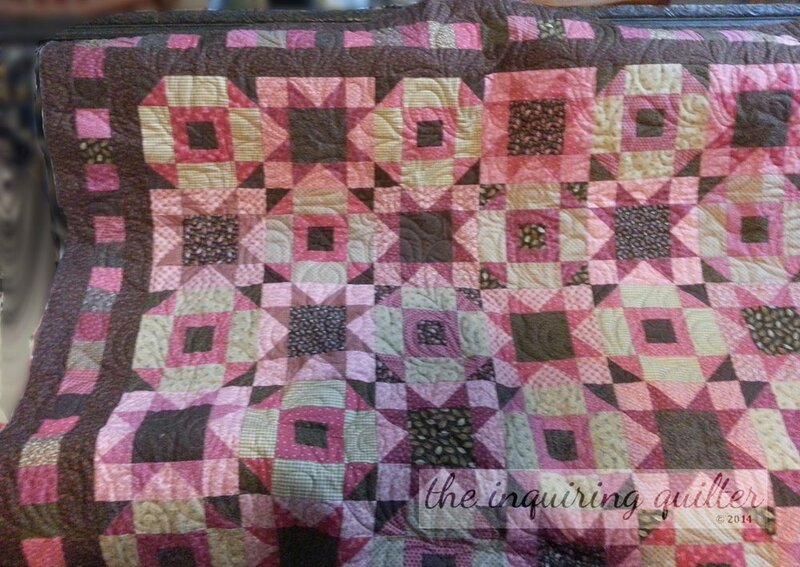 Also, there's a cool section on advanced piecing techniques and methods for getting your quilt to lie flat and even. Every task, such as curved piecing, is illustrated with a photo for every step, so the steps are easy to follow. Well, maybe. Tell me more. If you're like me, you buy books just for the patterns. There are 17 patterns in the book ranging from beginner to intermediate, and they are quite lovely if I do say so myself. <blush> Here are a few examples just to whet your appetite. If you want to see them all, click here.